The National Trust is welcoming spring with exciting projects happening at five of our National Treasures. From on-the-ground events at A.G. Gaston Motel to a design contest at the New York State Pavilion, we’re previewing the latest news happening at five of our busiest sites across the country. And remember, these are just some highlights; stay updated on all our National Treasures work here. The National Trust has named the A.G. Gaston Motel a National Treasure in 2015 and is looking for ways ensure its preservation. 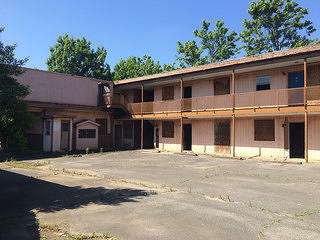 Major wins are ahead for the A.G. Gaston Motel. Since naming the historic site a National Treasure in 2015, we've been working closely with the City of Birmingham, the Birmingham Civil Rights Institute, and the National Parks Conservation Association to explore long-term protection strategies that will make certain the historic landmark stands the test of time. We are hopeful that there may be good news on the federal legislative front that will have an impact on this important historic site. And this summer, we’ll be launching a new on-the-ground campaign to engage local and national support for the preservation of the motel. Follow along as we work to educate and inspire our nation on the importance restoring this Civil Rights-era motel. A grant has allowed for new work on the hotel. Our contractor is evaluating the various collections of objects in the hotel's basement. The Panama Hotel has already had a busy 2016: A grant given from the National Park Service’s Japanese American Confinement Sites allowed work to begin at the hotel on January 19 as the National Trust Historic Sites team, and our selected contractor began to evaluate and inventory the collections of objects in the basement of the hotel. 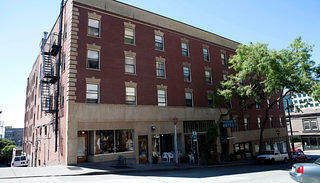 Additionally, we are working diligently with hotel proprietor Jan Johnson on potential new stewards for the space. Keep an eye on both these projects as the year progresses. Thanks to a new partnership between museums, the City of Los Angeles, and local activists and stakeholders, a viable plan for the Southwest Museum will be developed. 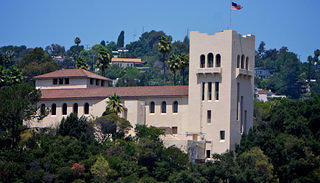 After naming the Southwest Museum site a National Treasure in January 2015, the National Trust forged a positive and productive partnership with the Autry Museum of the American West, the City of Los Angeles, and a broad, diverse group of local community groups and L.A. area stakeholders. Our goal is to work with a 15-member Steering Committee to develop recommendations for the future use of the Southwest Museum site that we will present to the Board of the Autry, which owns the site. These recommendations will help shape a viable plan for the site’s future. Stay tuned for new developments throughout the year. The National Trust has embarked on a partnership that will help save Music Row, an iconic place for American music, from demolition. 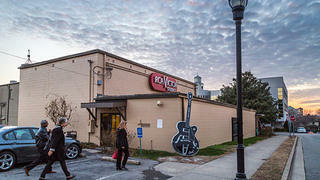 In 2016, the National Trust will work with local partners in Tennessee to develop a design plan for Nashville's legendary Music Row that will safeguard its historic character amid growing demolition threats, while also pursuing ways to unlock the many stories of Music Row for visitors, including studio tours and a cell phone walking tour. There are some big tenant changes taking place at Studio A, as the National Trust thanks Ben Folds for his stewardship and welcomes Dave Cobb to the property. Stay up to date with the latest news concerning our work at Music Row. In an ongoing design contest, you can propose a new purpose for the New York State Pavilion. After decades of disuse and deterioration, the New York State Pavilion is now poised for a dramatic comeback… but as what? The National Trust for Historic Preservation and People for the Pavilion are inviting the general public to do just that by envisioning a bold and optimistic future for the New York State Pavilion—a landmark unlike any other structure in the world. The public can submit ideas for the Pavilion’s reuse in a design contest, and the public at large also will be able to vote on entries March 1 through July 15, 2016. The winners will be announced during the Queens Museum Exhibition in Flushing Meadow Corona Park taking place August 6-28, 2016. 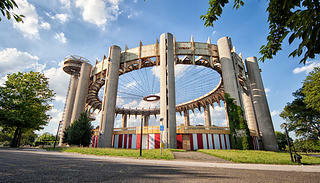 Learn more about the New York State Pavilion and the design contest.